Week 10 (already!) continues reading Chapter 7: Student Activities in the Online Environment, and additionally considers open platforms for teaching and learning. In terms of student activities, good discussion is given to those that promote reflection; the facilitation of which may either be through discussion forums within the LMS or through the use of blogging platforms on the open web. Recent research though seems to suggest that students who blog tend to feel more engaged and personally connected to fellow students. Engaging in reflective discussion about coursework and posting responses to each others’ blogposts enables them to develop a strong sense of community. However, the degree of personal, or sensitive information, that learners might be likely to divulge must be carefully considered when determining where these reflective artefacts are to be created. This apart, it appears that encouraging students to blog not only aids learning through reflection and the development of community but also, through the provision of authentic audience and purpose, stimulates the development of important writing skills too. In a wonderful blogpost recently, Susan Lucille Davis proclaims her 10 reasons why I want my students to blog. 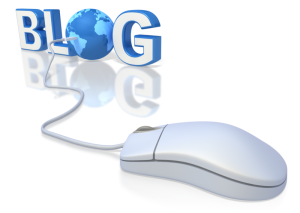 Moreover, for anyone considering setting up a class blog Lisa M. Lane provides an excellent slidecast on the ‘hows and whys’ of doing so, whilst providing a link to yet more great advice – Avoiding the 5 Most Common Mistakes in Using Blogs with Students. An interesting development to this discussion is the evolution of blogs as ePortfolios. An ePortfolio is an electronic collection of objects that can be used to showcase personal achievements, developments and reflections. It can form part of an assessment strategy and similarly, it can be sent to potential employers to supplement a CV. Thanks for the two cool links, Helen. I like both the ten reasons to blog article and the five mistakes to avoid piece (although that one seemed much longer than it needed to be). I have added both to my thinking about blogs library!